T.L. King designs both "built-in" and "portable" cabinet pieces. Please read the differences between each type of cabinet design. 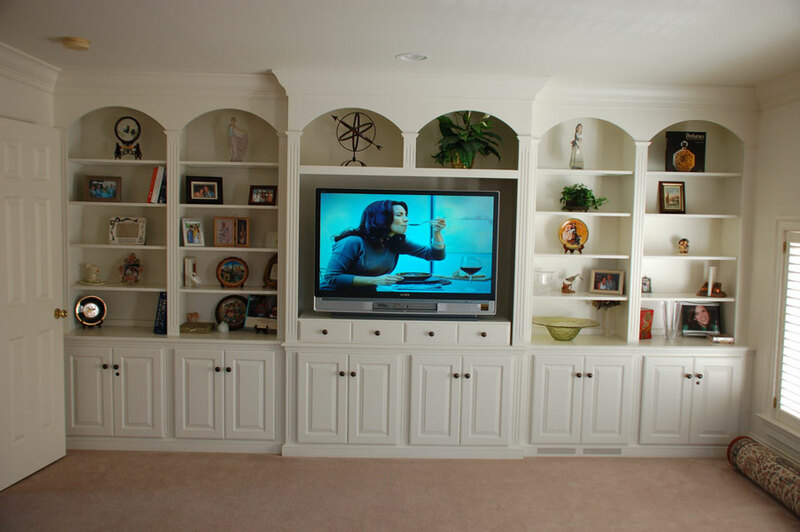 Built-in cabinets actually become part of your home. The piece meets the surrounding walls and sometimes the ceiling. The mouldings are joined to the existing mouldings in your home. It is not designed to be moved to another room or to another house. Built-in cabinets give a room a classic and settled feel. It is often used in recessed spaces and for library walls. If you are planning built-in cabinets for your home, we would be glad to arrange a house visit to give you an estimate and measure your space. What are Free Standing Cabinets? Our unique portable design resembles a "built-in" but is more versatile. It is constructed of several separate pieces that are joined together with special features so they appear as one large piece of cabinetry. Portable cabinets are designed to be moved to another room if your needs change and can be taken with you if you move to another house. 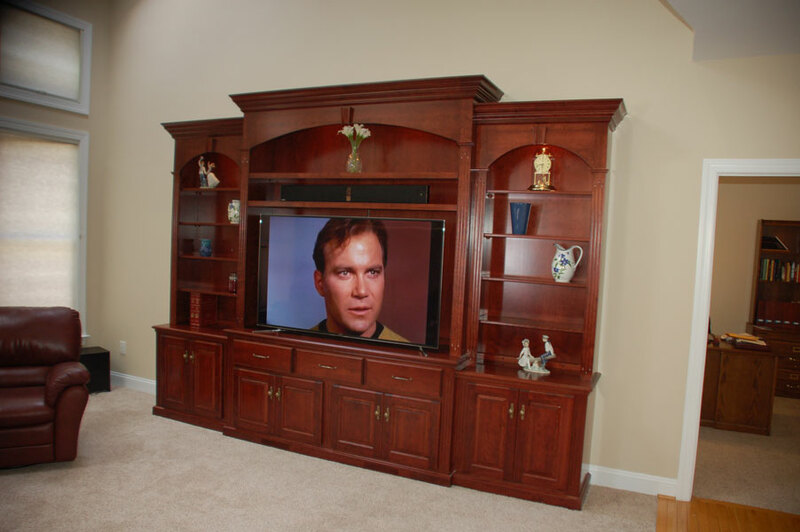 Because it does not require installation into your home, it is less costly than built-in furniture.